Gingle bells, gingle bells, gingle all the way… CHRISTMAS AT THE GIN SHACK is published today! 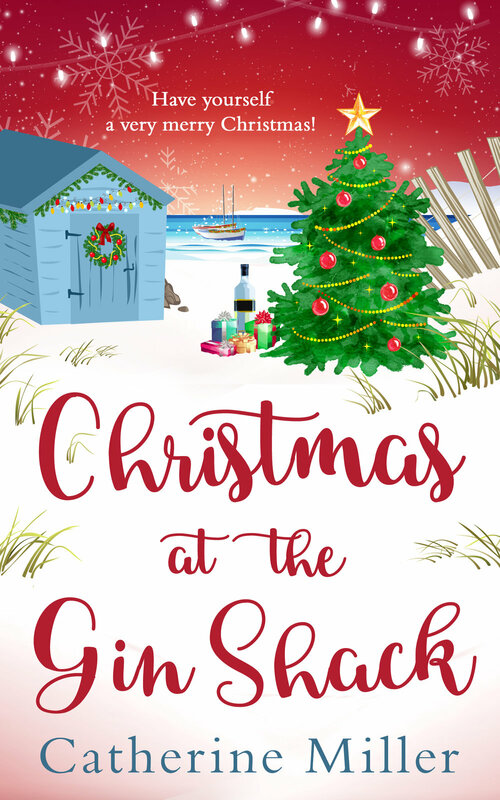 The second book in Catherine Miller’s GIN SHACK club series, CHRISTMAS AT THE GIN SHACK, is published today by HQ Digital. Welcome in the festive season with love, laughter and the perfect G&T in the most uplifting holiday read of 2017! THE GIN SHACK ON THE BEACH was published in June by HQ and received rave reviews, with Katie Fforde calling it ‘Charming, original and thoroughly enjoyable.’ German rights to both books sold at auction to Insel, who will publish in 2018. Catherine and Olive will also be going on a blog tour to promote the book, with further details here. When Catherine Miller became a mum to twins, she decided her hands weren't full enough so wrote a novel with every spare moment she managed to find. By the time the twins were two, Catherine had a two-book deal with Carina UK. There is a possibility she has aged remarkably in that time. Her debut novel, Waiting For You, came out in March 2016.